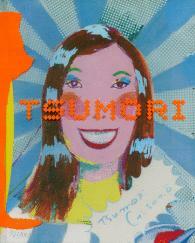 The first book on the work of Tsumori Chisato, a fashion designer who has gained a cult following for her uncanny ability to create clothes with a manga-bohemian charm. Tsumori Chisato scaled the commanding heights of Japanese and international fashion in the 1990s with color as the critical virtue. Reacting to the somber minimalism that is even now conjured by any mention of ?serious? Japanese fashion in the West, this new world is playful, unabashedly romantic in its femininity, and awash in vivid color. By turns streetwise and homespun, Tsumori?s latest collections eloquently convey the maturation of a style, one that has grown since her days of apprenticing with Issey Miyake and designing for the highly successful Issey Sport Line. Most recently applauded for a stylistic and thematic repertoire that has drawn upon Nordic, nautical, and 1970s style, her collections occupy an interstice between function and gesture. Conceived as the first comprehensive document of Tsumori Chisato?s work, this book opens a door to her inner life and aspirations, giving readers a one-way ticket to destinations that exist only in Tsumori?s mind. Visually stunning, this book is filled with dozens of the designer?s signature illustrations and sketches, playful anecdotes, and essays by fashion critics and curators, perfectly capturing Tsumori?s brilliant balance of fantasy and reality.